What does it mean to live dangerously? This is not just a philosophical question or an ethical call to reflect upon our own individual recklessness. It is a deeply political issue, fundamental to the new doctrine of resilience that is becoming a key term of art for governing planetary life in the 21st Century. No longer should we think in terms of evading the possibility of traumatic experiences. Catastrophic events, we are told, are not just inevitable but learning experiences from which we have to grow and prosper, collectively and individually. Vulnerability to threat, injury and loss has to be accepted as a reality of human existence. In this original and compelling text, Brad Evans and Julian Reid explore the political and philosophical stakes of the resilience turn in security and governmental thinking. 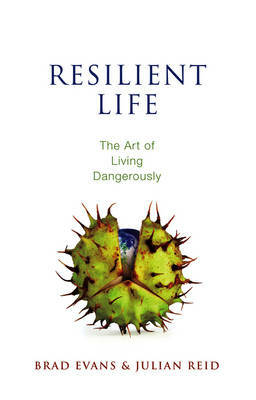 Resilience, they argue, is a neo-liberal deceit that works by disempowering endangered populations of autonomous agency. Its consequences represent a profound assault on the human subject whose meaning and sole purpose is reduced to survivability. Not only does this reveal the nihilistic qualities of a liberal project that is coming to terms with its political demise. All life now enters into lasting crises that are catastrophic unto the end.